The past 18 months has been a very challenging economic time that claimed many companies, from some of the largest industrial corporations and major retailers to hundreds of banks and thousands of small businesses. Global Water Technologies has also faced some very difficult challenges during this period. At the end of 2008, the company had minimal recurring revenues, ongoing cash flow deficits, unsustainable overhead, outstanding bills and a share structure that was maxed out and provided no access to additional capital. A change in management and new board members led to immediate efforts to reduce overhead and pay employees, suppliers and vendors. That commitment to stabilize the company helped to navigate through the difficulties of 2009 and the first half of 2010. While survival through this period is significant, there is still much work to be done so that Global Water is a sustainable, successful company. In the first half of this year, the company's Electric H2O subsidiary has generated sales in the United States and also sold ED2000 units in Hong Kong and Greece. Although these sales revenues are minimal, we expect they will continue to grow and the Electric H2O subsidiary should be profitable for the year. In addition to the ongoing operations of Electric H2O, there are also business opportunities for Global Water. We have completed two patent applications in the past year and will continue to seek new water technologies. While we are a small company with limited resources for research and development, strategic partnerships may allow us to facilitate new projects and create value in the important water sector of the growing Cleantech industry. 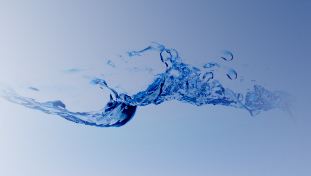 Successful settlement of legal matters has returned more than 250 million shares of Global Water common stock to the company treasury in 2010. We expect this will allow the company to raise funds in the second half of the year without diluting any of the existing shareholders. As a long-term shareholder who experienced such dilution when the outstanding shares increased from 25 million in 2004 to 1 billion by the end of 2008, this has been an important goal for me. Likewise, I believe the company should communicate its progress on a regular basis and we will continue to update our shareholders and take steps to improve the company's financial reporting. Accounting systems were established in 2009 and we are in the process of engaging a CPA to continue that work and review records from previous years. Federal tax extensions have been filed and tax returns will need to be completed for the period of 2006 through 2009. Since the company has not operated profitably since emerging from bankruptcy in 2004, it is not anticipated that income taxes are due. The company did pay an outstanding payroll tax bill from 2007 and has been notified of another bill for approximately $13,000 from 2004. The progress made to date is due to the efforts and cooperation of all the company's stakeholders, including our customers, suppliers, vendors, staff and especially all Global Water shareholders. In addition, I would like to thank a number of personal and professional associates who have provided sound counsel and expertise. Some of these individuals may participate in a more organized fashion through the creation of an advisory board in the second half of the year. I look forward to working together to as we continue to build Global Water Technologies. Thanks for your continued support.